With the increasing Islamophobia occurring in our midsts these days, it is important that we reach out to our local communities of friends, neighbors, teachers, coworkers, and local authorities to show who Muslims really are- not what is portrayed in the media. It is important that we build these bridges and work together to dispel hate and ignorance on all levels. 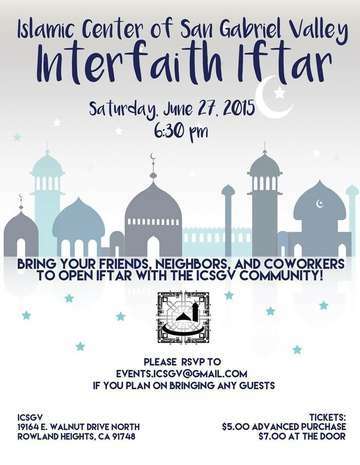 Please be sure to invite your non-Muslim friends to join us on Saturday June 27th. Dr. Sherman Jackson will be speaking on the topic of Islamophobia and the Interfaith Community.